Love this Christmas shirt as we live in Florida. Quality is great and service and shipping were great! The pattern repeat is lined up perfectly. My husband loves this shirt. He has received many excellent comments as to the construction and how beautiful the print is. 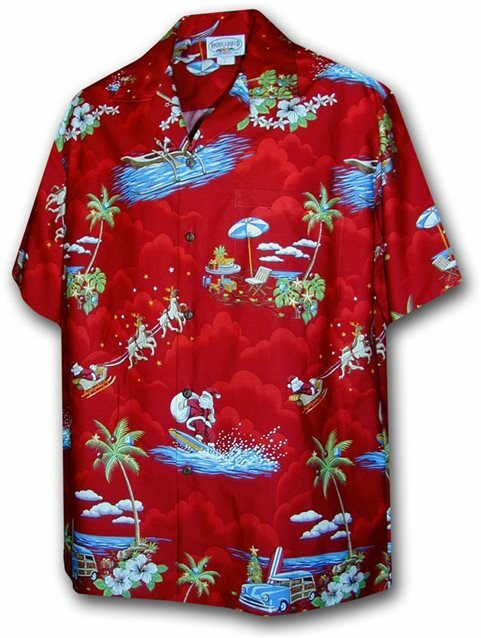 One guy said none of his aloha shirts were this beautiful. But then he bought his state side, not from you. Colours, as usual, bright and apealing.